We've got cheats for infinite money, additional cars and unlocking hydrolics and airbags. We'll also tell you how to unlock the Karol garage partner mission and how to get free items without beating the game. Check out our hints and tips to get the Audi R8 and see what items you recieive when you beat the city champion. We'll also tell you how to drive within the speed limit when you are not racing. Easy Pinkslip/Car wins. No Hacks or Live needed. We have 258 questions and 391 answers for Midnight Club: Los Angeles. Check them out to find answers or ask your own to get the exact game help you need. Its not showing me where I go to the garage at.. How .. 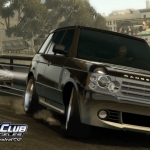 There are 45 achievements for Midnight Club: Los Angeles, click here to see them. A couple of central vehicle pack trailers for you to view. 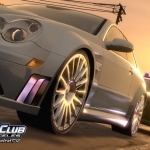 We've got walkthroughs and FAQs including a Midnight Club LA guide which is useful to have as a reference.